Our vision is to develop an exceptional environment for learning that provides the very best opportunities and experiences for the children and families that we serve. We want our children to grow to live happy, healthy and productive lives in an inclusive and safe environment. As part of Kingsbridge Educational Trust, Kents Hill Park School belongs to a group of high-performing and successful schools, where providing the very best in teaching and learning, both inside and outside the classroom is at the heart of what we do. The ‘all-through’ model allows us to do that for every pupil at each stage of their education. 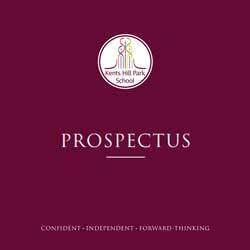 Our ethos is based around traditional values and high expectations of behaviour and care, but we are developing systems and plans at the forefront of educational thinking. The staff that join us all share these beliefs. We are working hard on all aspects of the school as we grow, so please check the website regularly for updates. I am incredibly privileged to be able to lead Kents Hill Park School. It is a rare opportunity, but one that I understand brings great responsibility. I really do hope that you will join us in developing an exceptional learning environment for every member of our community. Pupils will need to wear their current school uniform and bring a packed lunch. Further details will follow. Parents are invited to join us for a parent information meeting which will provide lots of helpful information for when the children join us in September 2019. Year 7 Parent Information Meeting – 11th July 4.30pm – 7.30pm. Parents are invited to join us for a parent information meeting which will provide lots of helpful information for when the children join us in September 2019. Headteacher presentation at 5pm and repeated at 6.15pm.